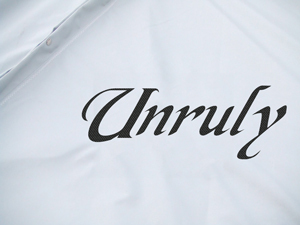 Monogram -- One Design Sailboat Covers -- The Sailors Tailor, Inc.
Personalize yout covers with a monogram. This also is a great way to identify your covers from others at a regatta and helps deter theft! $1.50 per each additional letter. Note: Returned items which are Monogrammed may have restocking fees, limitations, or may not be returnable at all. Please call for details before getting anything monogrammed you are uncertain about to find out our return policy on this item should decide to return it! To insure that the monogram name is spelled correctly, go ahead and order your monogram on-line. Once received, we will then call you with an exact price (if different) and to assist you in selecting a monogram color and size. We will also tell you how long for delivery. I understand and accept that a monogrammed item may be subject to a restocking fee and/or may not be returnable at all, depending on the item monogrammed and what it put on it. If you have any questions about what can and can not be returned, or would like to know the penalty on a returned monogrammed item, please call us at 1-800-800-6050 M-F 8:30 to 5:00 EST. Monograms are done in a contrasting color, usually black. Although we have over 40 colors of monogramming thread, we recommend staying away from the special colors as they tend to fade and just do not hold up like black does in the sun. If you desire a specific color, please indicate that in the special instructions box when ordering.